This is one of the most popular "tapas" in Spain. 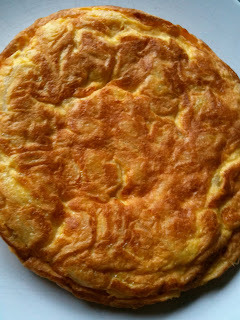 I always thought it is easy to cook, but then I came to New Zealand, gave the recipe to a friend who cooks really well and loves my tortilla and she told me later that she never managed to cook it right. This recipe is specially for her, Nellie, my first friend in New Zealand and I'm going to make it step by step. Heat the oil in a small frying pan and deep fry the potatoes on a medium fire, turn them as needed until they are cooked but not too crispy. 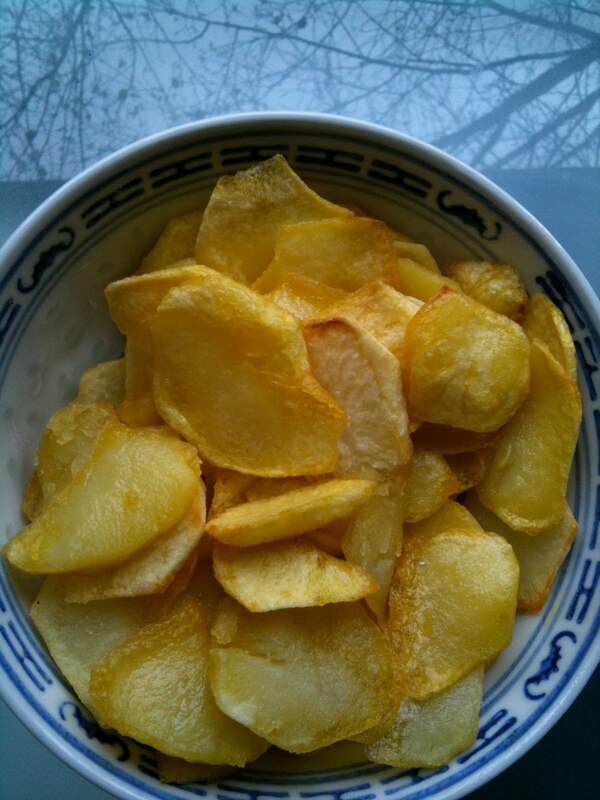 Now mix the potatoes with the beaten eggs and put salt to taste. Put a little bit of EVO Oil on a small nonstick frying pan, heat on a medium fire and put the mix into, don't stir. Once one side is cooked you have to turn the tortilla upside down in order to cook the other side, the best way is by using a big plate like this. 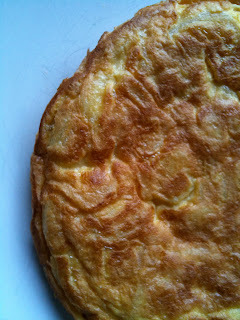 This side is cooked, put the tortilla back into the frying pan until cooked.